Mason Group, Aldworth, and WeDoctor came together in May 2018 to create Hong Kong's largest IVF clinic group Reproductive Healthcare Group through merger of two of the largest and most reputable IVF practices in Hong Kong. 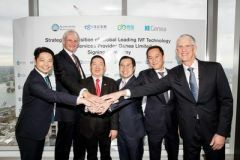 The Transaction signifies a new step forward for the three companies to venture into markets outside of Hong Kong and significantly expand their IVF talent pool. While the Hong Kong IVF market remains a key focus, they are also strategically eyeing a bigger share of the cross-border and outbound Chinese medical tourism market which grew approximately 40% year over year in 2017 to approximately RMB 1 billion (~US$150.9 million). Leveraging on Genea's strong presence in Australia, New Zealand and Thailand, the Consortium aim to capture growing outbound Chinese patients by providing them with easy access to high quality IVF services overseas, and also further consolidate the IVF technology and service industry in Asia. Since the establishment of China's largest appointment registration platform - Guahao.com, WeDoctor has continued to transform the healthcare system through technology with the creation of the nation's first Internet hospital - Wuzhen Internet Hospital. It also launched the industry's first domestic smart health terminal, and has made significant progress in the field of smart healthcare with the creation of AI-enabled diagnosis systems for both Western and Chinese medicine.